Global coatings manufacturer Hempel launched its new cargo hold coating – Hempadur Ultra-Strength Fibre 47510. This innovative coating offers customers an outstanding return on investment by delivering up to 40 per cent reduction in cargo holds maintenance costs*. This next generation cargo hold coating is specifically designed to withstand the harsh conditions experienced by cargo holds, hatch covers and hatch coamings of bulk carriers. It offers superior corrosion protection and long major repair intervals for owners and operators, as well as application simplicity for shipyards and applicators. Hempadur Ultra-Strength Fibre 47510 incorporates a unique combination of superior mechanical resistance, fibre and self-toughening technology for improved cargo hold protection. The Hempel´s patented fibre technology delivers superior coating flexibility in critical cargo hold areas, whilst the self-toughening technology is activated by cargo heat, boosting the coating's mechanical, chemical and thermal resistance. "At Hempel we understand our customers' needs for high performing, ultra-fast curing cargo hold coatings that deliver a fast return to service, minimise maintenance costs, reduce vessel downtime and speed up holds cleaning operations and inspection. As the shipping industry continues to face challenging market conditions, the right investment in the optimum cargo hold coating, such as Hempadur Ultra-Strength Fibre 47510, will deliver an extraordinary reduction up to 40 per cent in cargo hold maintenance costs for shipowners*." 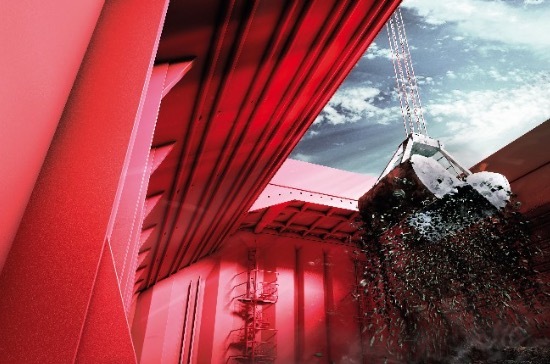 "Hempadur Ultra-Strength Fibre 47510 builds on the technology behind our successful class-leading Hempadur Ultra-Strength 47500 – that has protected over 6.4 million square metres of steel since its launch in 2009 – elevating cargo hold protection to a higher level." Incorporating Hempel's patented fibre technology, this heavy-duty coating exhibits superior resistance to abrasion, impact, cracking and chemical attack, combined with an easy to clean smooth surface. It is a self-priming, two-component, high build, pure epoxy coating which can be applied at a surface temperature of as low as -5°C/22°F. Its fast curing properties allows a rapid return to service – as short as just three days from coating to loading the first hard cargo – to minimise off-hire costs**. *Compared to a standard epoxy coating for cargo holds. Bulk carrier size: Panamax.